There’s some phases on a web designer. First you will begin to know what HTML is writing your first “hello world” on a basic text editor. Second, you use some software “all in one” that tell you that you can do webs without coding… like Adobe Dreamweaver… how false. Third you make tables for put thing where you want to. And the last (now) is that you change tables to divs and begin to code on CSS. The most difficult phase is change from phase 3 to 4, and some help is very useful. 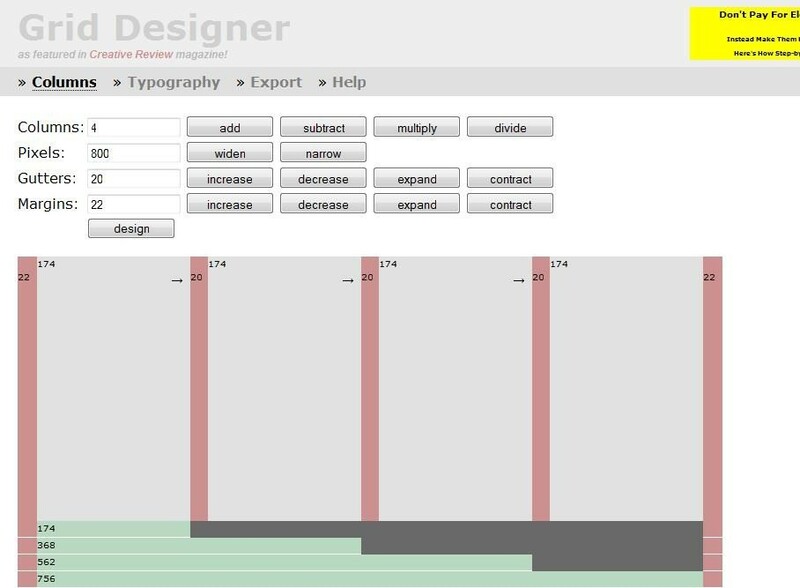 So Grid Designer will help these people (and other) to make columns webs easy. I know lot of people who are in phase 2 (using iWeb or something else) or in phase 3 who call himself designers, but when they export their works outside his “small country”, everyone calls “stupids”.